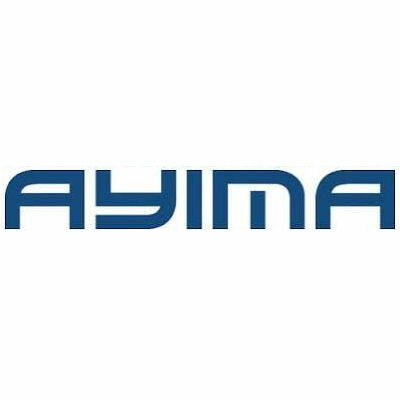 Ayima specializes in Search Marketing. The London-based company launched in 2002 as a search engine with innovative crawling and searching features, then re-launched in 2007 as an SEO consultancy and technology company. Today Ayima has more than 100 SEO experts across 5 countries and offers proprietary software, consultancy and client referrals. Appotate is collaborative website building software. Teams of designers, developers, marketers and clients can reach the right decisions faster thanks to better communication and a streamlined approval process. From initial wire-framing to site launch and every stage in between, Appotate reduces turnaround times so designs are updated and approved sooner, meaning companies can move on to split-testing and boosting conversion rates faster. Ayima Reporting Tool (ART) is a proprietary Ayima dashboard. Highly customizable, the dashboard provides Ayima clients with essential market intelligence, such as competitive traffic share, so that results are transparent once Ayima puts strategies in place to improve SEO. Page Insights is a Chrome plugin that detects more than 25 in-page errors for the active URL. The plugin makes it easy to find and fix common issues and warnings in real time, boosting SEO and maintaining a positive user experience for website visitors. Get a top-line report on all of the issues found, sorted into priority levels and categories. The plugin also displays info on clicks, impressions, CTR and Avg. Position data for your owned, verified websites. Ayima Pulse is a keyword-based tool that provides market insight for improved SEO. Pulse surveys more than fifty thousand non-brand Google keywords across ten sectors, analyzes site ranking changes, and visually displays rankings for the past 30 days. The 50,000 keywords have been hand-picked based on search volume, excluding all brand mentions, which provides a consistent benchmark for every site. Filters allow companies to see changes on desktop searches, mobile searches, or a comparison of the two. A location filter allows switches between UK and US results. A Chrome extension from Ayima, Redirect Path is an HTTP header and redirect checker for better SEO. The plugin flags 301, 302, 404 and 500 errors, client side redirects and other HTTP headers such as server types and caching headers and the Chrome caching 307 error.